This may be the third (and I believe final) book in the Collector series, however it can be read and understood as a stand-alone novel. Yes, some characters from the first two novels are featured in this one, however it is done in a way where the reader doesn't get lost or confused. 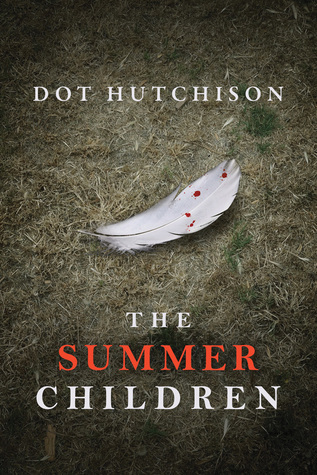 This novel does touch on some disturbing realities (mainly the abuse of children and how in some cases the abuse is overlooked and/or the system has failed a child), however I feel the author's strong writing style make it more palatable than it otherwise may have been. The sad reality is, sometimes these things do happen and occasionally we as readers need to be taken to a place of discomfort in order to face the reality of the worlds. I loved getting to see team Mercedes is a part of interact with each other. The obvious bond they had showed just how much they had been through as a team, and what they were willing to do for one another. I will say that while all of these characters are complex and strong in their own ways, Siobhan was not my favorite. I feel as though she had a lot of unrealistic expectations when it came to Mercedes and her job. Also, I enjoyed (as hard as it was) to learn Mercedes background. I think it spoke a lot to her character and why she acted (and reacted) in the ways that she did. I would definitely recommend this novel to those who enjoy well written police and "whodunit" novels. I will be reading more from this author!